FinXTech’s annual Summit brought together senior executives from across the financial space to focus on new growth strategies and opportunities related to technology. PHOENIX — I’ve spent the past few days with bank leaders, technology executives, investors and analysts interested to explore emerging trends, opportunities and challenges facing many as they look to grow and scale their businesses. So as I prepare to head home to DC after some wonderfully exciting days at Bank Director’s annual FinXTech Summit, a few highlights from my time in the desert. For me, one of the signature pieces of this year’s program occurred on Thursday evening. Under the stars, we recognized ten partnerships, each of which exemplified how banks and financial technology companies work together to better serve existing customers, attract new ones, improve efficiencies, bolster security and promote innovation. The finalists for this year’s Best of FinXTech Awards can be seen in this video. Startup Innovation, to recognize successful and innovative partnerships between banks and startup fintech companies that have been operating for less than five years. Most Innovative Solution of the Year, to highlight forward-thinking ideas, we recognized partnerships that have resulted in new and innovative solutions in the financial space. Best of FinXTech Partnership, a category to recognize outstanding collaboration between a financial institution and fintech company, we based this award on growth by revenue, customers and/or reputation plus the strength of integration. Well played with the ZZ Top reference — now we just needs to grow out that beard and drop a pair of RayBans into the shot. COMMUNICATION is key…. said nearly every presenter. Make the tough call to kill bad tech or a bad relationship. You’ll lose customers if you don’t react quickly (h/t to our VP of Research, Emily McCormick). Change is the key to being valuable; start thinking and working like a startup (h/t @nabeelmahmood). Thanks to all those who joined us at the Phoenician. For more ideas and insight from this year’s event, I invite you to take a look at what we’ve shared on BankDirector.com (*no registration required). I spent yesterday afternoon at Capital One Growth Ventures’ inaugural VC & Startup Summit, an event that inspired today’s post. WASHINGTON, DC — I’m hard pressed to find anyone willing to contest the notion that technology continues to disrupt traditional banking models. Now, I realize the “D” word jumped the shark years ago. Personally, I try my best to keep my distance from employing the adjective to describe what’s taking place in the financial world vis-a-vis technology. However, banks of all sizes continue to reassess, and re-imagine, how financial services might be structured, offered and embraced given the proliferation of new digital offerings and strategies. As I reflect on the first quarter of 2018, it strikes me that we’re living in an industry marked by both consolidation and displacement. Yes, many bank executives have fully embraced the idea that technology — and technological innovation — is a key strategic imperative. However, few banks have a clear strategy to acquire the necessary talent to fully leverage new technologies. On the flip side, I get the sense that a number of once-prominent FinTech companies are struggling to scale and gain customer adoption at a level needed to stay in business. Nonetheless, the divide between both parties remains problematic given the potential to help both sides grow and remain relevant. While banks explore new ways to generate top-line growth and bottom-line profits through partnerships, collaboration and technology investments, I have some concerns. For instance, the digital expectations of consumers and small & mid-sized businesses may become cost-prohibitive for banks under $1Bn in assets. So allow me to share what’s on my mind given recent conversations, presentations and observations about the intersection of fin and tech. With all the data issues coming to light courtesy of Facebook, how can banks extract the most revenue from the data available to them (*and how much will it cost)? As banks become more dependent on technology partners, what level of control —over both costs and data — should a bank be willing to trust to third parties? What does the arrival of new technologies, such as artificial intelligence, mean for a financial institutions’ current workforces? Amazon’s announced checking account partnership with JPMorgan Chase begs the question: how dependent should banks become on big technology companies? How many larger banks will acquire smaller institutions that cannot keep up with the cost and pace of technology in Q2? Significant technological changes continue to impact the financial community. In the weeks to come, I’ll relay what I learn about these five issues in subsequent posts. If you’re interested, I tweet @AlDominick and encourage you to check out @BankDirector and @FinXTech for more. Despite improving economic conditions, the business of banking remains difficult. PHOENIX, AZ — For all the talk of bank consolidation, there are still 5,700+ banks in the United States. But let’s not kid ourselves. For many community banks today, earnings pressures + regulatory and compliance costs + the continued impact of technology = a recurring challenge. While the number of banks in business will inevitably shrink over the next 10 years — perhaps being cut in half — I remain bullish on the overall future of this industry. If December’s tax reform spurs capital spending and job creation by small- and medium-sized businesses, many of the banks joining us here in Arizona stand to benefit. But will the recent tax cut induce companies to invest more than they already planned to? This is but one of a number of questions I look forward to asking on stage through the first day of Bank Director’s Acquire or Be Acquired Conference. Are FinTechs the industry’s new de novos? What does it mean that the banking world is deposit rich yet asset poor? Why are certain credit unions thinking about about buying banks? In terms of technology spending levels, where are dollars being earmarked and/or spent? With respect to small business lending, do credit unions or FinTechs pose a more immediate challenge to community banks? 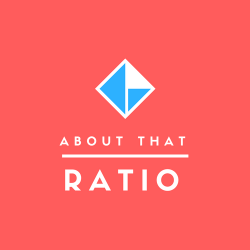 What is an appropriate efficiency ratio for a bank today? Will big M&A buyers get back in the game this year? What are some of the critical items in due diligence that are under appreciated? What does an activist investor look for in a bank? Is voice recognition the next huge source of growth for banks? We have an exciting — and full day — coming up at the Arizona Biltmore. To keep track of the conversations via Twitter, I invite you to follow @AlDominick @BankDirector and @Fin_X_Tech. In addition, to see all that is shared with (and by) our attendees, we’re using the conference hashtag #AOBA18. I’m at the Montage Deer Valley for the Association for Financial Technology’s Fall Summit. “Who do we want to be when we grow up in this new digital, always-on financial services environment?” might be the most important question for a bank CEO to strategize on with his or her team. PARK CITY, UTAH — For the technology companies looking to make a real difference in the financial services world, let me suggest a stronger focus on regional and community banks. At a time when JPMorgan Chase, Wells Fargo, BofA and the like are investing heavily in digital engagement strategies to connect with digital-savy customers, there are significant pressures on banks not able to spend what the biggest banks do to develop or adopt digital strategies. As I listened to an afternoon panel discussion on the need for banks to create sustainable, scalable and relevant business models, I went back to my notes on a newer partnership between First Horizon’s First Tennessee bank unit and D3 Banking. Developed to overhaul First Tennessee using D3’s API-driven platform, I see this type of partnership as one that positions a strong regional player to better compete with much larger banks. First Tennessee and D3 is one of a number of bank/fintech arrangements I think technology executives here in Park City should know about. A smaller bank “doing it right” in terms of partnering with technology companies is Somerset Trust Co., a $1 billion asset bank out of western Pennsylvania. Their COO, John Gill, participated in the panel that precipitated this post. As we’ve written about at Bank Director, Somerset has learned to play the innovation game by partnering up with some impressive fintech companies. For example, they teamed up with Malauzai Software in Austin, Texas, to develop a mobile banking solution that allows Somerset’s retail banking customers to securely check balances, use picture bill pay and remotely deposit checks from any location or device. More recently, Somerset Trust partnered up with BOLTS Technologies to improve its mobile new account customer experience. It strikes me that figuring out how to move ones business towards a foundation of flexibility is essential. So too is being open to new ideas and partnership opportunities. Most importantly, just because a bank is small doesn’t mean it can’t build innovation into its growth strategy. As part of AFT’s Fall Summit, I shared a few stories about bank CEOs leadership styles, their team’s investments in fintech companies and ideas, and several innovative solutions that caught my attention. Interested? Here is a link to both my presentation and post. Banks need to think beyond the notion that they can either build a technology solution or buy it — for inspiration, take a look at how Silicon Valley Bank uses APIs to tap into technology from third party providers. Various startups are using behavioral economics to nudge people towards making better financial choices for saving & investing. The push for retail customers, which may already be spurring dealmaking. Given all the hype surrounding machine learning and advanced decision modeling, leadership teams want to know how to augment a bank’s revenues & relationships with such technologies. To these three trends, both our editor-in-chief, Jack Milligan, and I agree that most bankers understand the imperative to innovate around key aspects of their business, whether it’s payments, mobile in all its many permutations, lending, new account onboarding or data. So with that in mind, let me close by sharing a link to our newest issue of Bank Director magazine. This is our “Great Ideas” issue, one in which we highlight companies like USAA who crowdsource upwards of 10,000 ideas per year for products and new technology. At a time when banks of all sizes are starting to take advantage of platform-based services, this new digital issue is one that I am really proud to share. For the next 5 days, I set up shop in my former home of New York City for FinTech Week NYC. Hosted by Bank Director’s FinXTech in conjunction with Empire Startups, the week can best be understood as a confluence of conferences, round-table discussions, demo days, meetups and networking events across the city. If you’re not familiar with the various events taking place, here is a quick snapshot of three we’re primarily involved with starting today and running through Friday, the 28th. This evening, Bank Director’s FinXTech and Empire Startups hosts an invitation-only kickoff reception at Rise New York for the partners, delegates and key-players making FinTech Week NYC happen. On Wednesday, we host a sold-out FinXTech Annual Summit at Nasdaq’s MarketSite that explores what the changing nature of banking today portends for the future. On Thursday, we welcome technology leaders and bank executives to an exclusive Financial Services Leadership peer exchange hosted at and with Latham & Watkins. The common thread throughout each of these days? A desire to help leaders in the financial sector to better understand how when/where/why to engage with emerging technologies. On BankDirector.com, Tips for Working With Fintech Companies by our editor, Naomi Snyder, provides insight from executives at Wells Fargo (one of the country’s biggest) and Radius Bank (a very strong community bank) on how they handle fintech partnerships. On FinXTech.com, Advice for Fintech Companies Working with Banks by our editor-in-chief, Jack Milligan, shares suggestions from SF-based Plaid Technologies and Chicago-based Akouba as to how banks and tech companies can set realistic expectations in terms of cooperating to their mutual benefits. Finally, I authored a piece on a major challenge I see confronting banks when it comes to their digital futures with A Roadblock That Ruins Futures. As an optimist, things aren’t hopeless; you will see I find inspiration from the CEOs of U.S. Bancorp, PNC and Fifth Third. If you’re interested in topics such as these, I invite you to follow the conversations taking place via Twitter — check out @Fin_X_Tech, @BankDirector and @AlDominick. The hashtag for FinTech Week is #FTWNYC and the for our Summit at Nasdaq, #FINXTECH17. Oh yes, we’re on Instagram too. Thanks to Richard Hunt, the CEO of the CBA, for inviting me to participate. Richard spoke at our Acquire or Be Acquired conference in January + I hope to live up to his great speaking standards when I’m given a mic tomorrow. The rapid pace of change in the financial sector took center stage during yesterday’s opening session. Since arriving in Big D on Sunday evening, I’ve met quite a few interesting men & women from great financial institutions at this annual event for the retail banking industry. This year, more than 1,300 are at the Gaylord Texan (with some 550 being senior-level bankers) to talk shop. Personally, I’m looking forward to presenting on “Economic States of America” with Amy Crews Cutts (Chief Economist, Equifax), Robert Dye (Chief Economist) of Comerica Bank and Cathy Nash, the CEO of Woodforest National Bank tomorrow morning. From credit trends to banking consolidation, if you’re in Dallas, I invite you to join us for this Super Session as we explore the economic state of our union. Before then, I thought to share a few interesting takeaways from a “FinTech vs. Bank” general session that pit SoFi and Kabbage “against” PNC and BBVA. As part of the panel discussion, CBA posed a number of interesting questions to the audience; most notably, “do you believe fintechs are built to last.” Given our upcoming FinXTech Summit in NYC, I thought the answer (which reflects the thoughts of many of the biggest banks in the U.S.) was interesting, but not surprising. Further, I found the results of this question pretty telling (given we asked a similar question at this year’s Acquire or Be Acquired conference and received a similar response from an audience of CEOs, CFOs, and members of a bank’s board). Finally, I think the results of this question best represent the types of conversations I’ve found myself in when I explain what I do + who I meet with. We could see over 200 merger transactions despite a declining number of banks in 2017. There is a clear trend on M&A pricing multiples being driven by bank profitability and asset quality. For banks, too little capital is not the only issue — too much capital and the inability to produce sufficient returns on capital is equally problematic. What is my bank worth? How will the changing tax environment affect bank values? When is the right time to buy (or sell) a bank? What are the most significant factors affecting bank value? These were just some of the questions surfaced this morning here in Arizona. 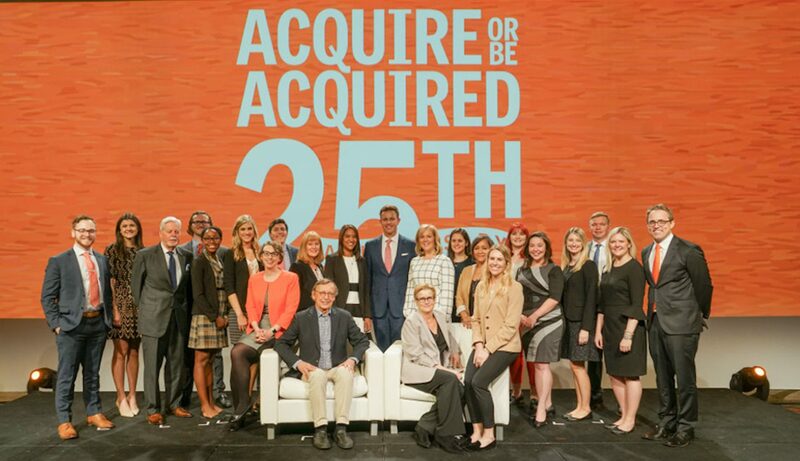 In this video recap of Sunday morning’s presentations at Bank Director’s Acquire or Be Acquired Conference, I share a few observations about the conversations taking place around issues such as these. Given the focus of this three-day event, I anticipate many subsequent presentations building off of these points. For those interested in issues such as these, I invite you to follow me on Twitter via @AlDominick, the host company, @BankDirector and its @Fin_X_Tech platform, and search & follow #AOBA17 to see what is being shared with (and by) our attendees.